Going local is a great way to connect to your surroundings whether staying at home or traveling. While everyone else is out having the same experience, those who seek out local artisans and food sources get to see another side of their new home or travel destination – all this while building long lasting memories and making new friends. One local food that puts a smile on my face and makes an awesome gift for friends and family is honey — that sticky, gooey, unctuous, sweet substance that bees make from the nectar of various plant blossoms. Since something is always blooming in Hawaii that means lots of varieties of honey all year long. On the Big Island, raw lehua honey reigns supreme, but you can also get other delicious varieties such as macadamia nut, wilelaiki, avocado and christmasberry amongst others. Honeylingus is a term I coined to describe the experience of eating really great raw honey. That is, honey extracted from the hive at temperatures no higher than that present in the hive. If you think that you hate honey, then you’ve probably only had that bitter, off-tasting goop in the plastic bear bottle – mere sugar syrup with chemicals. Once you taste raw honey, however, your opinion will be forever transformed. The Kona area has an abundance of local honey producers. Whether you’ve tried real honey before or not, I urge you to seek them out. 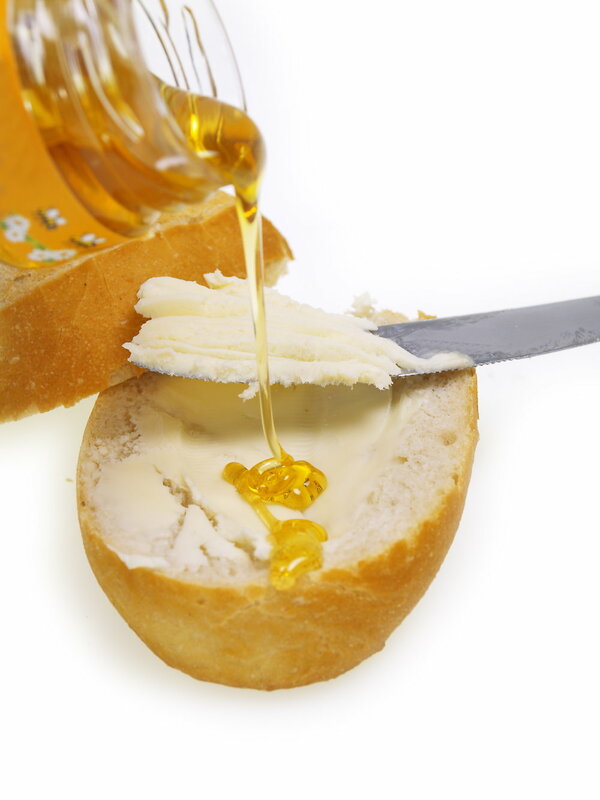 While you can get local honeys at any supermarket or convenience store in town, a farmer’s market will give you access to some of the smaller producers who will eagerly allow you to sample this nectar of the gods. This way, you can compare each honey side-by-side and get a feel for the subtle differences in honeys from different blossom varieties. Most people think that honey is only good for hot tea when you’re sick, but once you begin practicing honeylingus, you’ll find it is the perfect sweetener for a variety of dishes and beverages: coffee, smoothies, ice cream, breads, glazes, sauces, meat dishes, salads, desserts, breads and more. The only place you may have some difficulty would be in replacing sugar in cakes where you would need to reduce the total liquid in the recipe by ¼ cup for each cup of sweetener. This may take some experimentation on a recipe-by-recipe basis to get it just right. As a whole food, real raw honey is far healthier than highly processed sweeteners such as white sugar and artificial sweeteners. The sweetness of honey varies, though, depending on the variety, but it is generally considered to be up to 1.5 times sweeter than sugar. This is another reason why you will rarely ever use it as a one-to-one replacement for sugar or other sweeteners. To sample and purchase some local honey, I suggest stopping by Onny’s in the Kona International Marketplace (behind Target). Onny will be happy to share her samples of local honeys and homemade jams with you. For honey farm tours, simply talk to the farmers at the market. Many will do tours on request and some may even let you get a selfie in a beekeepers suit. Raw honey can also be found in the Kona Farmer’s Market (Wednesday through Sunday), the Alii Gardens Farmer’s Market (Wednesday through Sunday), The Keauhou Farmer’s Market (Saturdays) and the Sheraton Farmer’s Market (Saturdays). If you are one of the many people looking for more ways to use honey, thenclick here to download samples from my upcoming book 50 Ways to Eat Your Honey: Recipes for Mastering the Art of Honeylingus.